The OBi200 by Obihai is a VoIP gateway for home/SOHO that integrates with Google Voice. It supports most standard VoIP features out of the box and can integrate with virtually any “bring your own device” SIP service. I purchased one earlier this year to act as a landline in my home (without monthly fees) and it’s worked pretty well so far. But before full installation, I decided to dig deeper into how it worked. Above, you can see the OBi200 was shipped with 3.0.1 (Build: 4492). 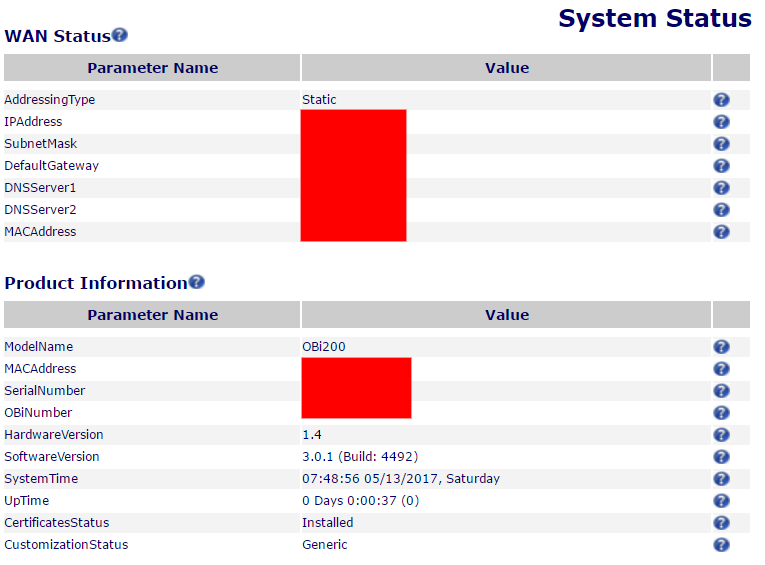 A quick check for the latest version available on Obihai’s website showed 3.1.1 (Build: 5463EX) — obviously, way behind! Though rather than update it immediately, I decided to keep the old version and poke around in case there were any patched vulnerabilities. Note there are several Squashfs images above as well as an ARM uImage file. 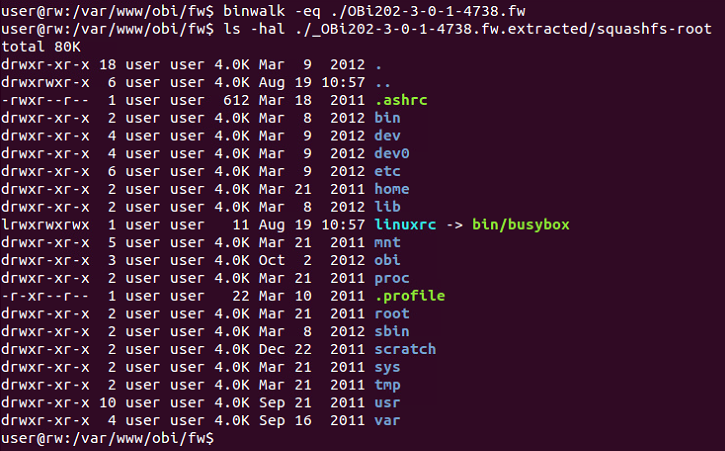 All seemed promising to explore further, so I extracted them to my local filesystem. Note the leftover debugging/development lines commented out above showing a little more about the environment. After the initial setup, the script changes to the /obi/ directory containing all of the vendor binaries and launches the main obi script (and ultimately, the obiapp binary). Note that the second request above is formatted slightly differently to achieve execution — this was due to the process not decoding spaces before passing them to the system() call. Note the serial interface listening on /dev/ttyS0 above — now, it was just a matter of finding the debug port on the board. 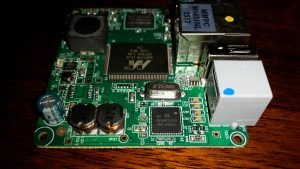 In part 2 of this post, I’ll focus on identifying and connecting to the board’s UART pins in order to get console access to the appliance.